After years of rotating domain names, The Pirate Bay is now back at its original .ORG domain. The notorious torrent site started redirecting users after a Swedish court ruling put its .SE domain at risk. Today we take a look at the rather impressive domain shuffle the site went through. When The Pirate Bay first came online during the summer of 2003, its main point of access was thepiratebay.org. Since then the site has burnt through more than a dozen domains, trying to evade seizures or other legal threats. 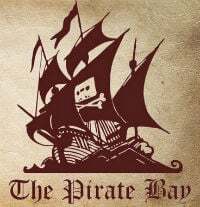 Over the past few months The Pirate Bay has been active from the .SE domain, but after the registry was ordered to forfeit the domain to the Swedish state last week the notorious torrent site quickly switched. The domain dispute is not officially over yet, as the Supreme Court still has to make a decision, but The Pirate Bay wasted no time and immediately started redirecting the .SE TLD to the good old .ORG just in case. Ironically, the torrent site moved away from the thepiratebay.org four years ago because it feared a domain name seizure from the United States. However, instead of providing more stability it triggered a rather impressive domain shuffle as the overview below shows. – In 2012 TPB switches from .ORG to .SE, fearing a domain seizure. – In 2013 TPB trades .SE for .GL over a pending lawsuit. – TPB is not welcome in Greenland, switches to .IS. – Swedish authorities go after the .IS domain, TPB moves to .SX. – Sint Maarten’s registry suspends .SX domain, TPB relocates to .AC. – AC isn’t safe, so TPB sails to Peru. – PE domain is suspended, next stop Gyuana. – GY domain lasts only a few days, so TPB decides to move back to the SE domain. In 2015 TPB leaves the .SE domain again as the domain lawsuit is about to come to its conclusion. Instead of moving to one alternative, the site decided to enable six domains at once. In the months that followed this “hydra” was carefully destroyed as registrars and registries suspended the domain names in question. This most likely happened in response to copyright holder complaints. – A few weeks later the Armenian .AM domain was suspended. – At the end of 2015 the LA, .GD, .MN and .VG were lost as well, leaving the hydra headless. With the hydra gone, The Pirate Bay once again went back to the .SE domain. Earlier this year the site briefly added an additional .MS TLD, but this was suspended after a few days. Last week The Pirate Bay decided to ‘leave’ the .SE domain once again after a court ruling put it at risk, making the .ORG the default again. This means that after nearly half a decade, the domain shuffle has come full circle. However, for some reason we have a feeling that this wont be the last domain switch we’ll see.